The world is fascinated by anti-heroes these days. Characters that occupy the grey area between good and bad are nothing new, but in recent times these reluctant heroes have had the limelight thrust on them. Iconic comic superheroes like Superman, a symbol of light and hope, and Wonder Woman, are being recreated with darker, edgier pasts. Wolverine has been around forever, the ultimate anti-hero. Dexter Morgan and his dual life have TV viewers glued to the screens. While the “real” world may not usually show such melodrama concerning bad guys turned good and good guys having a darker side, we have our fair share of crooks turned helpers. However, there are no cases where an axe wielding mass murderer suddenly converted and started helping little kids cross the streets. The transitions are usually of the softer kind, petty criminals doing things that do good for the society instead of disrupting civil life. If ever there were any grey areas concerning what is considered “crime”, hackers and cyber criminals rule that piece of property. What they do with their PCs, sitting at home (usually a parent's basement - very clichéd, but its true) should be no one else's business. In a greater proportion of cases, hackers trawl for information that can be used as leverage for revenge, or some form of it. While this should send a chill down anyone's spine, in 98% of these cases, the hacker sits on the info without doing anything with the info except a few baseless threats. No real harm is done, compared to, say, a bank having all its funds rerouted to a single offshore bank account (untraceable), which has a more immediate impact. It's hackers who are able to accomplish feats like these that are wanted by giant tech firms and security providers. In the US, General Dynamics Information Technology put out an ad once on behalf of the Homeland Security Department seeking someone who could "think like the bad guy." Applicants, it said, must understand hackers' tools and tactics and be able to analyse Internet traffic and identify vulnerabilities in the federal systems. Who can understand this better than a former “bad guy”? If anyone is willing to come clean and use his or her talent for good, they get to work with the most powerful government in the world, sit on a fat government salary and enjoy a clean cut life. The Defense Advanced Research Projects Agency (DARPA) will fund “independent security researchers and experimental programs”, emphasising unconventional solutions to their problems and fears. That's just a fancy way of saying “hacker and his awesome tools”. It's not just the Government either; mega giant corporations like Microsoft regularly enlist the help of the world's best hackers to find holes in their operating systems and security software. 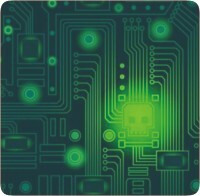 They do everything from updating virus databases, creating viruses to test anti-virus software, and finding new ways of preventing their pirate buddies engage in tech piracy. In return? They get the fattest cheques, the nicest cars, houses, and a note asking them to kindly keep their mouths shut. Moving away from hackers to something pettier: Graffiti artists. People like Marc Ecko, Shepard Faiery, and the infamous Banksy are not exactly the lowest of lowlives imaginable. Yet, when they were starting out, they were frowned upon by society, beaten up by cops, jailed, and threatened. Ecko now has a line of graffiti, street art and skateboarding inspired clothing, and he's a billionaire. Shepard designed the stylised Barrack Obama poster “Hope” during the president's insanely successful election campaign. Banksy is still on the run and famous for it in art schools teaching modern street art. While hackers and graffiti artists do very little for a tangible benefit to society, they help instead of completely aiming for personal gain. We may not have anything even close to our crime fighting anti-hero yet, but we should sleep a little safer at night knowing we have a few ex-bad guys on our side. Joss Whedon's Buffy made a cool girl icon because he took the bimbo stereotype and endowed her with super strength and set her loose on the powers of evil at Sunnydale. Younger audiences had their own girlpower icons: the Powerpuff Girls, which essentially took three relatively innocent young girls and gave them superpowers. One imagines that budding feminists around the world had a ball with these icons. Lisbeth Salander is unique as a contemporary heroine because she doesn't fall into any of those stereotypes. 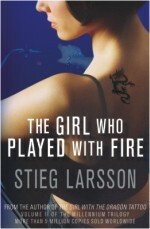 In the second book of the Millennium trilogy, Stieg Larsson took some time to focus on her story, even while the other characters in the book are trying to hunt her down for her supposed connection to a double murder in a Stockholm apartment. The story takes place a few months after the point at which the first book ended. Mikael Blomkvist is back at the helm of Millennium magazine, and working with a journalist and his sociologist girlfriend on an exposé about the European flesh trade. The novel and article that are in the works already hint at dirty secrets, murders and corruption, and will definitely cause ripples upon publication. Except, that never happens because the two authors are found murdered in their home, and all evidence points to one Lisbeth Salander, the security analyst formerly working for Milton Security, a controversial entity who is currently absconding. When word of the murders come to light, opinions are instantly polarised. There are those who buy into the mythology of a violent psychopath, and are calling out for Salander's blood. And then there are people like Blomkvist and Salander's former boss Dragan Armansky, and her girlfriend Mimmi, as well as a few surprise players, who are firmly in her corner. And while all this is going down, we get to take a closer look at the enigma that is Lisbeth Salander. A bag of contradictions, she is a hacker with no qualms about invading someone else's privacy, but has a strong moral code when it comes to protecting the innocent, especially women. In the books, she is described as an anorexic looking, pierced and tattooed goth chick with a smoking habit, and a distaste for authority figures. And yet she is fiercely protective of the few people she cares about, and has occasional moments of self-consciousness about the way she looks. Put a painful backstory for each of her hang-ups, and you've got yourself a character who will keep you hooked till the very end. Packed with action, twists, and quite a few bittersweet moments, this book does not disappoint. Read this one through, and you'll be all but dying to know what happens in the finale. But that's stuff for another review.